Hey guys! A couple of quick points! 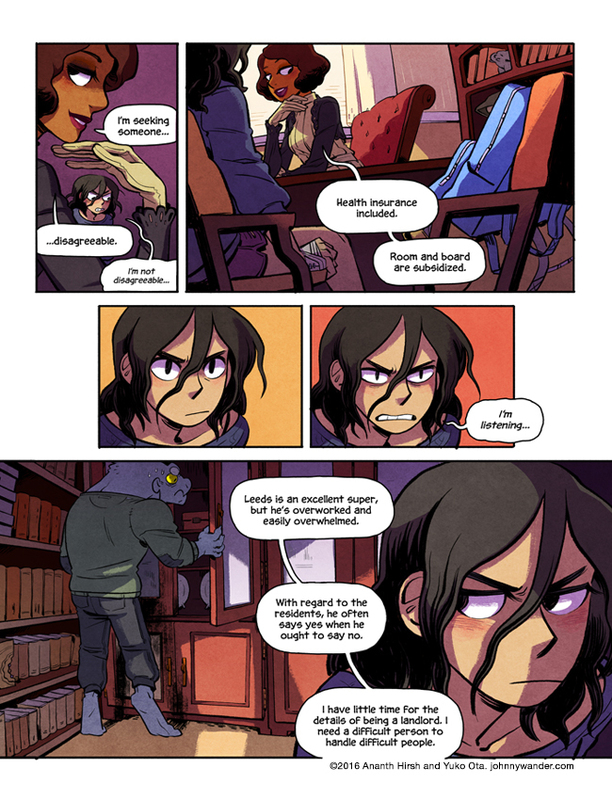 • If you're new to Barbarous, you can start at page 1 here! • We'll be at Boston Comicon next month, August 12-14! Hope to see you there! • Barbarous is our most ambitious story to date, and doing it in full-color is definitely a more costly effort in terms of both time and money! If you were ever considering backing our Patreon, now is a great time! Help us get off to a strong start on Barbarous! • Another way to support us is to buy things in the online store! The JW sale is ongoing! WE'RE HAVING A LAST CHANCE SUPER SALE! Johnny Wander V1-3 are each discounted by $5(!!! ), and our t-shirts and tote bags are marked down as well! Many of these t-shirts and totes are getting rotated out permanently! We've never done a sale like this before and we won't do it again any time soon, so if there's anything you've been eyeing but you put off picking up, now is the time!